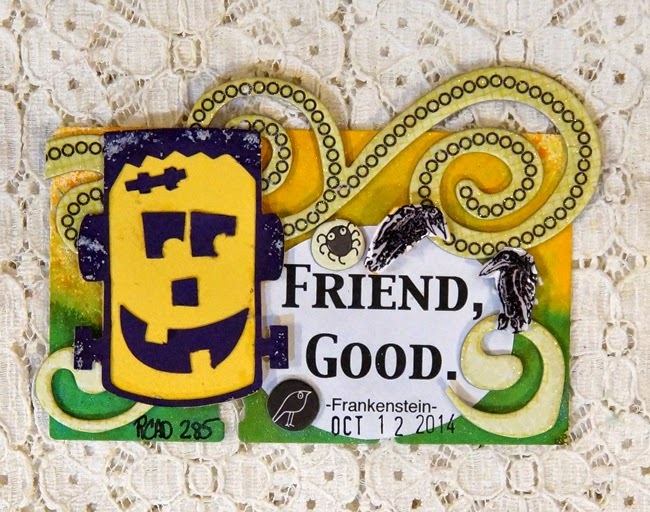 Rolodex Card A Day 285 is just a fun card made from a Silhouette Cut and some Halloween chip board pieces. I love the Frankenstein quote: "Friend, Good." Thanks You for stopping and your friendly and kind comments.